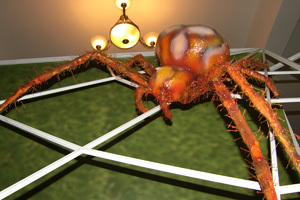 A temporary exhibition ‘Museum of the spider’ will be opened at 02:00 PM on 10 January 2009 in the foyer of the National Museum of Natural History, Sofia, located at 1 Tsar Osvoboditel Blvd. The aim of the exhibition is to acquaint the public with the wonderful world of spiders and their diversity. Lack of popular information about this group of animals is one of the main reasons for their poor knowledge, which often provokes feelings of fear and hostility among the people. By skilfully selected photographs, models and texts, the organisers of the exhibition are trying to change the negative view of the spiders and to show some interesting characters of their anatomy and biology. 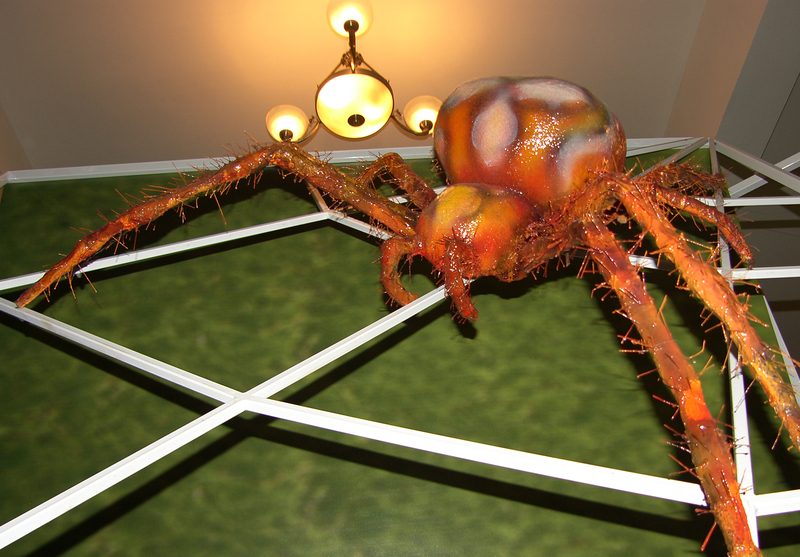 Enlarged model of a spider will occupy a central place in the exhibition. More than 50 posters, from which visitors can learn more about spider’s morphology and behaviour will be presented. A composition of six posters with spider drawings made by children in unprivileged position from the SOS village in Dren will accompany the exhibition. This is the first of a series of initiatives designed to celebrate the 120 anniversary of the National Museum of Natural History — the oldest and richest among the natural history museums on the Balkan Peninsula. It is financed by the program ‘Youth in Action’ under a project ‘About spiders and people’ at the State Agency for Youth and Sports. Organiser is Dr Stoyan Lazarov from the Institute of Zoology at the Bulgarian Academy of Sciences. Besides Sofia the exhibition will be presented elsewhere in the country.